Geographic Information System (GIS) serves multitude of purposes by providing smart maps, embedded with intelligent data that help in urban planning, infrastructure, transportation, energy exploration, natural resource conservation, natural disaster recovery and management, etc. As a geospatial industry leader, Outsource2india has an extensive and proven record of delivering complex projects involving detailed planimetric mapping, on time and within budget. We have offered planimetric maps, digital planimetric mapping services, photogrammetry services, and GIS planimetric services to global clients including General Mapping Agencies, Municipal Organizations, Urban Planners, and Public Utilities, meeting their unique business specifications. Outsource2india's vast experience in offering planimetric mapping services allows to successfully deliver several projects that includes 'planimetric feature collection' and 'updating old planimetric data/feature' (like Driveways, Sidewalks, Buildings, Water bodies, Vegetation limits Roads, Ditches, Railway lines, Light/Electricity/telegraphic pole, etc.) using new aerial images. Outsource2india provides detailed and comprehensive planimetric services by using the latest Spatial Technology and Geographic Information Systems (GIS) to produce effective topographic and planimetric maps. With ample experience in digitizing planimetric maps from aerial photography, we deploy speed and consistency to create intrinsic maps that provide accurate and aesthetically appealing planimetric mapping which meets the required specifications of any GIS. Why Choose O2I for Planimetric Mapping Services? Accurate reading of the planimetric data and the creation of additional features requires skill, deftness, and judgment which our team brings to the table with our geospatial mapping services and other civil engineering services. Outsource2india employs state-of-the-art technology, processes, and a dedicated team of talented people who are result-oriented and experts in their respective fields. 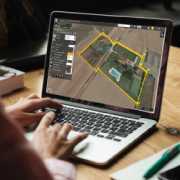 Our vast experience in the area of GIS mapping and planimetric services makes each one of our team members an asset to the process. When you outsource planimetric mapping services to Outsource2india, you can be assured of timely delivery of work that is in-tune with the specified guidelines with utmost efficiency.